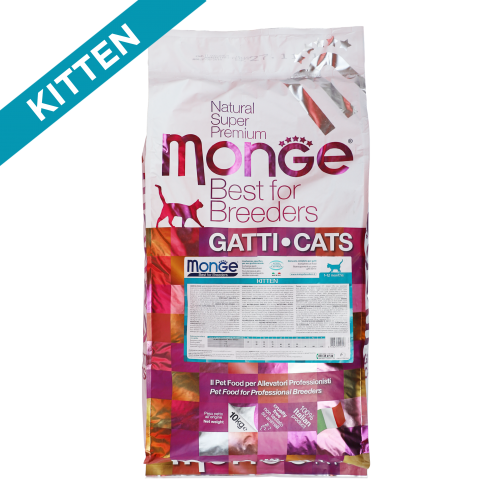 Kibbles Monge Best for Breeders Kitten are a complete food for kittens from 1 to 12 months of age. 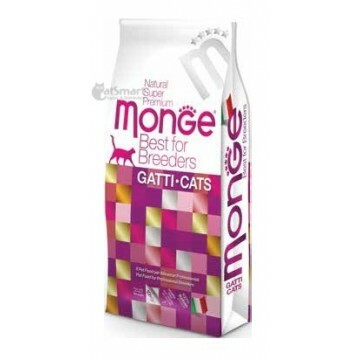 Guarantee the well-being of your cat thanks to their very high-quality nutrients, which are the result of Made in Italy research. The main ingredient is chicken and they are enriched with XOS (xylooligosaccharides), natural prebiotics which keep the intestine healthy. They have an optimal calcium and phosphorus ratio for a balanced growth and they are rich in Omega 3/6 for healthy skin and coat. 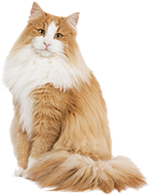 Crude Protein 34.00%, Crude Oils and Fats 20.00%, Crude Fibre 2.50%, Crude Ash 6.50%, Calcium 1.50%, Phosphorus 1.10%, Omega 6 Essential Fatty Acids 8.98%, Omega 3 Essential Fatty Acids 1.00%. Metabolisable Energy 4,220 Kcal/kg. Natural blend of tocopherols and extracts of rosmarinus officinalis.